Tata Docomo continuing its Do More campaign brings a new contest for creative minds. 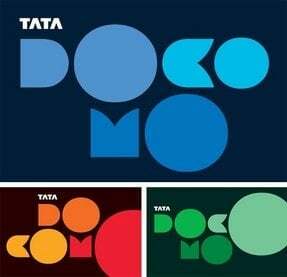 Tata Docomo has come up with a new platform which will give participants an opportunity to showcase their talent to the world and also co-create the brand in process. In its latest leg, Tata DOCOMO will invite fellow ‘DO’ers to participate and showcase their KISS – ‘Keep It Simple’ story in its ‘KISS and Win’ contest! Tata DOCOMO’s ‘KISS and Win’ Contest takes off on the thought that life has many problems, each of which has one simple solution. Stand-up Comedy Act – This leg is meant for the people who believe they possess the acting skills! Participants are invited to mimic, enact, try ventriloquism, do whatever they are good at to ensure their act brings out the ‘simple solution’ to life’s complex situations while looking at the funny side. In short make the jury fall off their chairs laughing! The length of the video entry must be upto 2 mins in .flv format. Script – For the creative geniuses who really believe in the power of pen and can bring words to life through their interesting narrations, scripts or stories. We are inviting them to pen-down an interesting script for us showcasing how the complexities of life were dispelled using simple solutions. What’s more there is no denying the lure of a fat prize! The winner in each category will win whopping sum of Rs. 1, 00,000 and two runner-ups in each category will win a smart phone each! Icing on the cake – there is no restriction on the number of entries and one can participate in all the categories! The last date of submission for entries on the latest leg of the CREATE Platform will be on 15th June, 2011. There is no limit on the number of entries that a person can give. However mandatory for the ideas to be original and not copied! Dont think Tata DOCOMO has an appetite to follow someone else’s footsteps! Moreover, they have BlackBerry handsets to give away as prizes and a prestigious letter of appreciation signed by the senior management of Tata DOCOMO. I think I will have end this post now – because as I write there are already a few strands of thought bubbles which I think may get me a handset or two! See you there! Log on to www.facebook.com /tatadocomo and voice your opinion now. signals accessible upto 20kms :0..can u give me some proof…20kms i dont thnk so buddy..cmon man simple logic…900mhz does nt have that much wavelength..